Name : Vote if you hate Him! The Defending Pokėmon died from a stroke because his music is so awful. Attack 2 : Vote if you Hate Him! 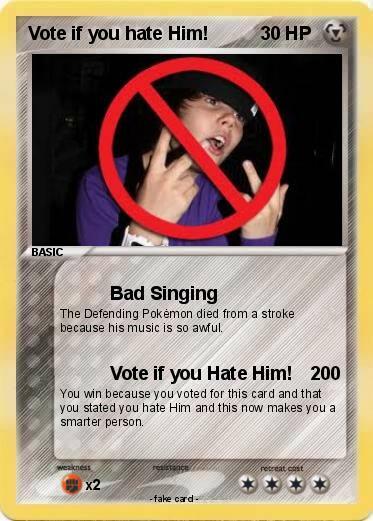 You win because you voted for this card and that you stated you hate Him and this now makes you a smarter person.